Madley cubs having only formed in January 2015 has quickly become a very popular section. We have some very enthusiastic leaders and a great bunch of cubs. We try to fit as much as possible into a terms program which means that in addition to our regular Wednesday evening meetings we do plenty of other things as well. 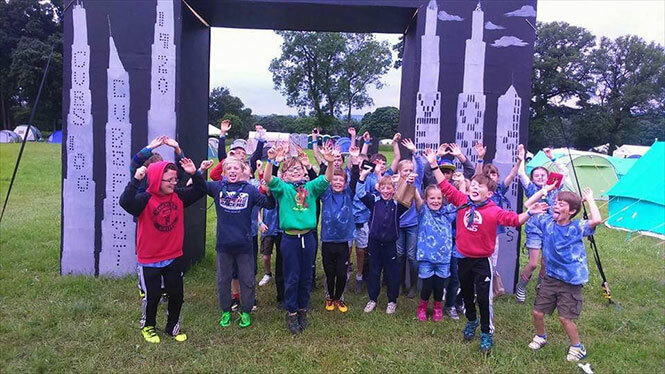 We participate in various, pack, district and county activities such as camping, hiking, water sports, parades, cooking, den building etc… At Madley we are all about giving the kid’s experiences they might not get anywhere else and that they will hopefully remember for life. At Madley we love to run additional activities. We often go hiking, In November will be Geocash Hiking, In December we will attend an incident hike planned by our Madley Scout troop (Bronze Barrow) and in February we hope to enter a couple of teams in the North Leigh hike. For our end of term activity we are going to laser quest in Swindon. We will also participate in the Remembrance Parade and St Georges Parades. We are also looking forward to several camps in 2017. We have also formed a PenPal connection with a group in Ireland and look forward to seeing what happens with that in 2017.